We are a well-known manufacturer of a highly reliable array of Prefabricated School and Site Office. Owing to their long service life and resistance to crack, these offered ranges are famous among our patrons. We, Engko Engineering Company from 2018 are prominent manufacturers of high-quality Prefabricated School and Site Office. Offered products range consists of Prefabricated School, Prefabricated Railway Shelters, and PUF PANELS. Recognized for their long service life, simple usability, and high efficiency, these prefabricated school and site offices are made available in several specifications. Also, we provide this prefabricated school and site office at reasonable prices and within the assured time frame. ENGKO is a team of qualified, experienced and dedicated management professionals who have strong capabilities & rich experience of providing engineering solutions from Concept to Commission in to the fields of Pre-fabricated construction at the optimum cost with utmost customer satisfaction. Pre-fabricated Construction is one of the fastest growing industries in the world today. We are determined to mark our footprint on the global prefab construction market and tap into every possible resource we come across, to live in a better world where we rely on nature & resources to meet our requirements and thus build a future for our coming generations to cherish. 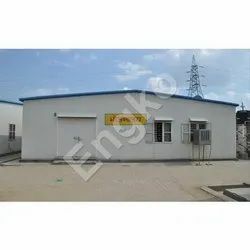 ENGKO has carved a niche in the domain of manufacturing & Supplying finest quality Porta cabin, MS Container office, Site office, MS Structure, Cold Room, PUF Panels, Telecom Shelters & labor camp etc. 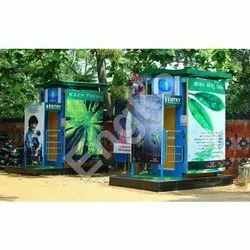 Besides, our range of product is in compliance with varying industrial standards. Value Engineering, Quality Management, Expertise in Pre-Fabricated structures makes ENGKO a turnkey solution provider in the infrastructure space. With our products, we have catered to diverse industrial applications including construction, Engineering, Steel etc. Moreover the company has grown in leaps & Bounds, just by supplying quality products to the industries and sticking to the principles of integrity & professionalism. 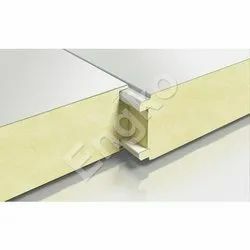 Apart from this, we also entail fair play in our working and enthusiastically serve the clients with utmost care to gratify them beyond their expectations.ENGKO provides all-inclusive, design to build solutions for Pre-fabricated structure. Our design solutions not only make the project, time & Cost efficient, they also ensures that structures provide a life service of more than 25 Years. ENGKO provides a complete turnkey solution under one roof starting from Designing, manufacturing, fabrication, and installation with complete Electrification & Plumbing. 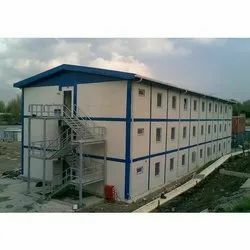 Whether it is Porta cabin, Site office, MS Container office or Pre-fabricated structure, ENGKO assures quality and also provides a high degree of customization with its expertise designing team which makes our structure time & cost efficient. Quality is the prominent factor that makes us reputed business organization; therefore we direct all our efforts towards maintaining the consistency in the quality of our entire range. Further, this qualitative range of products is delivered to customer within the stipulated time period. The prime concern of our organization is to attain optimal client satisfaction through all our endeavors. Keeping the individual demand of our clients in mind, our experts develop offered range as per the specifications proposed by them. Owing to our transparent business dealings and ethical trade policies, our esteemed clients have full faith in us. In order to gain optimal satisfaction of clients, we offer our exclusive range at affordable rates. We have developed a high-end infrastructure. Installed with latest tools, our infrastructure is segregated into different departments like manufacturing, warehousing, packaging, quality control, and R&D. This segregation assists us in meeting the exact requirements of clients in an efficient manner.